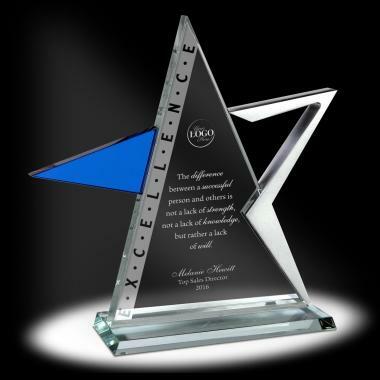 Recognize your employees Excellence with this unique star glass award. 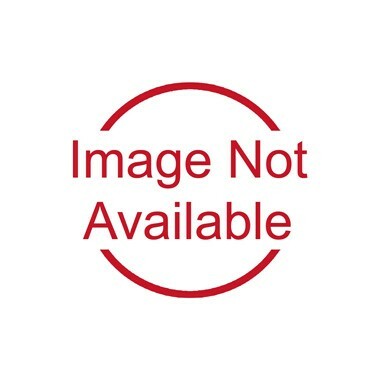 This one of a kind, created exclusively for Successories, award combines the brilliance of blue glass with the modern style of brushed silver aluminum to create the ultimate star award. 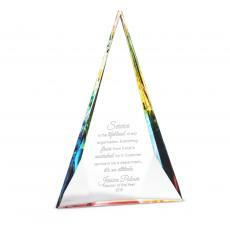 An elegant glass base provides solid footing for this substantial glass award. Gift boxed.